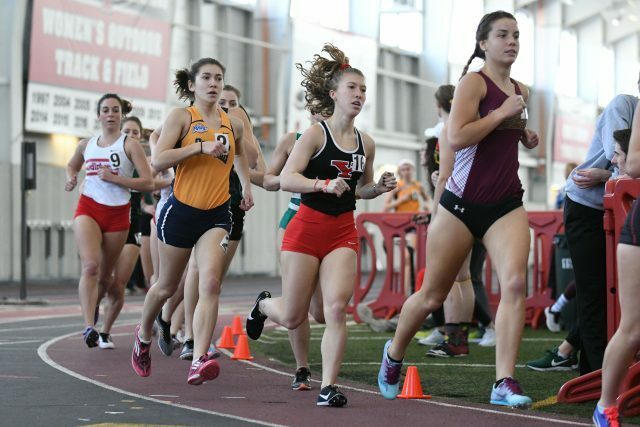 The Youngstown State University men and women’s track and field teams put up strong performances over the weekend at the YSU Mid-Major Invitational held at the Watson and Tressel Training Site winning 11 events. The Penguins had big performances from their Horizon League Runners of the Week junior Jaliyah Elliott and senior Chad Zallow. 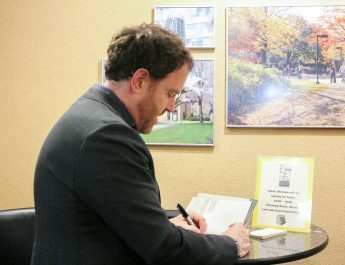 Zallow received the honor for his third week in a row. Zallow continues his dominant senior year, registering a time of 21.37 seconds in the 200-meter on his way to a first place finish. His time is now also a record for the YSU Mid-Major Invitational. That’s high praise coming from Gorby, who has been involved with the program for 29 years. Senior Nicolette Kreatsoulas, sophomore Pierlus Stewart and freshman Olivia Jones each picked up wins on the first day of the event. Kreatsoulas won the weight throw with a toss of 16.95 meters on her first throw. Stewart won the 500-meter with a time of 1 minute, 5.84 seconds, and Jones won the pentathlon with 3,410 points, the third highest score in school history. Jones earned 871 points in the 60-meter hurdles, 783 points in the high jump, 536 points in the shot put, 617 points in the long jump, and 603 points in the 800-meter. Winning events on the second day for the Penguins were Abby Jones with the high jump, Kaitlyn Merwin and Dom Westbay each with the shot put, Daiquain Watson doing the triple jump and Dylan Latone with the pole vault. Jones won the high jump on her first attempt clearing a height of 1.69 meters. Merwin was the winner of the shot put with a personal best throw of 14.15 meters on her fifth attempt of the afternoon. Westbay captured a first place finish in the shot put with a 17.33-meter throw on his final toss of the evening. Watson won the triple jump with 14.20-meter jump on his final leap of the day. Latone won the pole vault after clearing a 4.61-meter mark on his first attempt. Next up for the Penguins is the Kent State Doug Raymond Invitational on Friday and Saturday. The Horizon League tournament is slated for the end of the month.